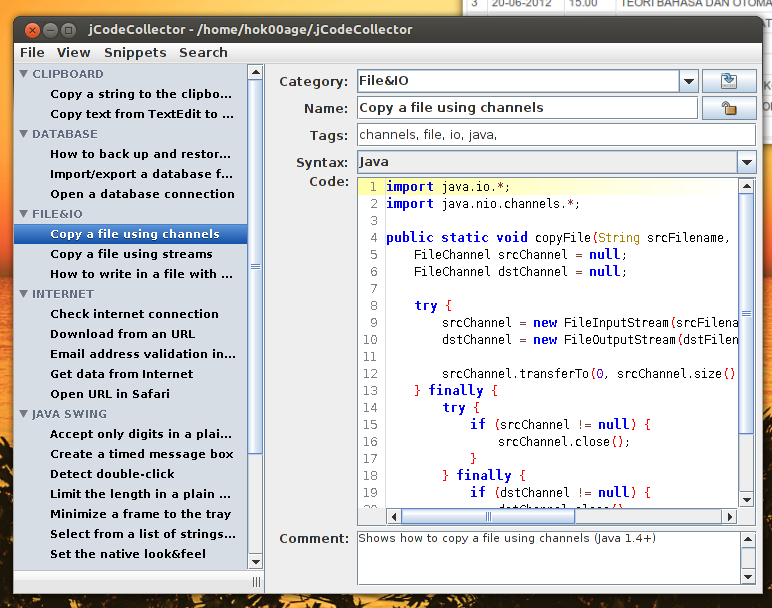 jCodeCollector is a Java-based application which can help you to save, organize, and manage code snippets. This application is useful for developers or Linux users who often perform some scripts regularly. It supports syntax highlighting for many programming language such C/C++, HTML, SQL, Java, PHP, etc. 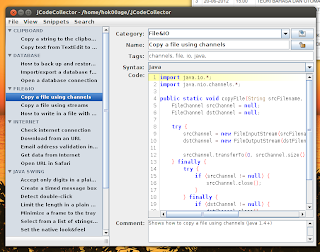 As it is Java-based application, jCodeCollector is available for Windows, Linux, and Mac OS X. Simply download the Linux version here, extract the ZIP file and run the "launch_jcc.sh" script. jCodeCollector is donationware, so if you like it please consider making donation to help the author making more great software.